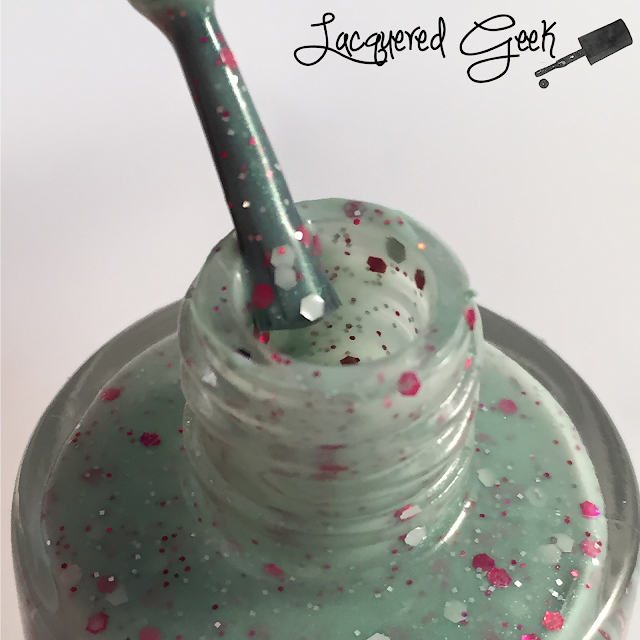 No Power in the 'Verse Can Stop Me is a minty sea foam green shimmer that's chocked full of silver and hot pink glitters in various sizes. I used 2 coats for these photos. The polish was absolute perfection! 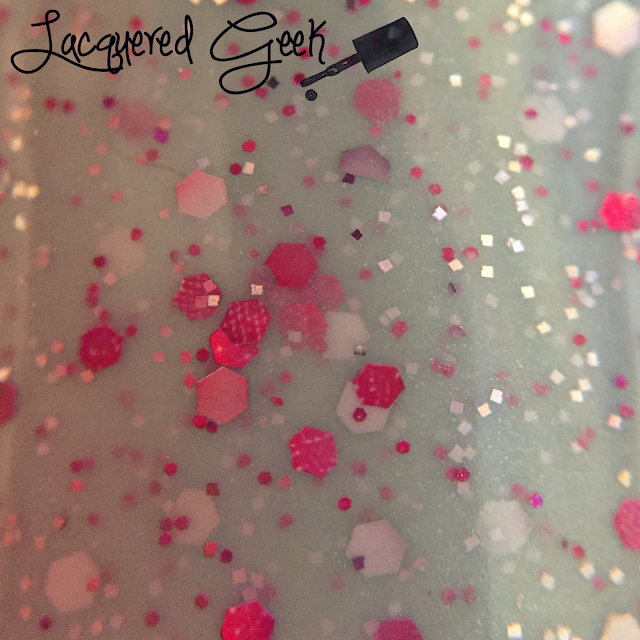 The glitters just flowed onto the nail; no fishing was required. You would think with this many glitters that it would dry rough, but it wasn't insanely top coat hungry at all! Look at all those glitters! Go ahead, look... I'll wait. Keep looking... I'm still waiting. One last look... Seriously, look at those gorgeous glitters! This polish is just so beautiful! I'm so glad that I picked it up! Right now, this polish isn't available from the Lucky 13 Lacquer shop, but always keep an eye out because sometimes she brings polishes back! 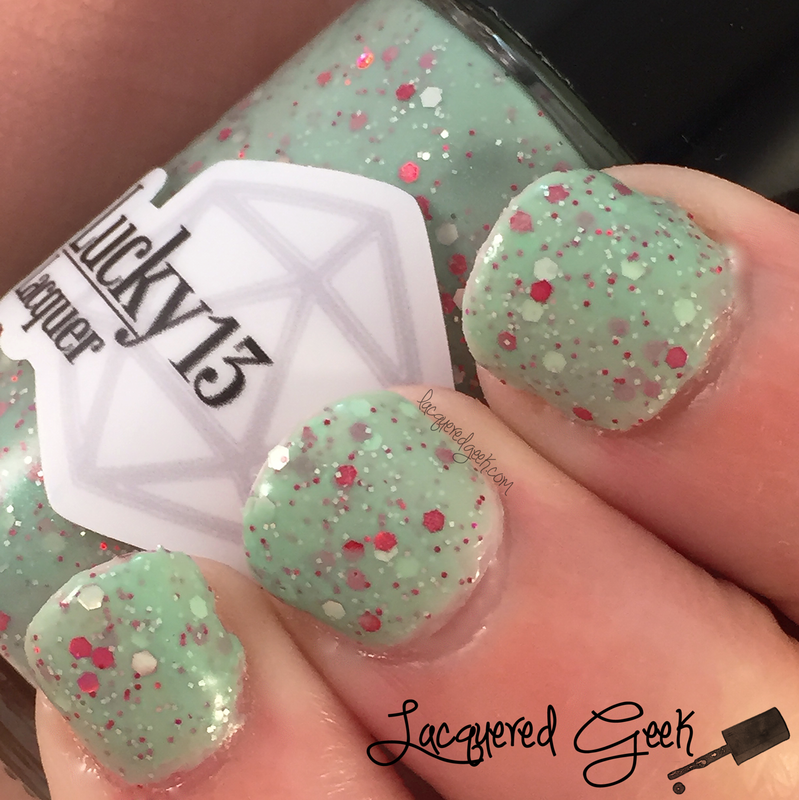 Currently Lucky 13 Lacquer's shop is in vacation mode, but she'll be open for business on June 17th. What do you think about this lovely polish? Have you seen any episodes of Firefly? If you have, who was your favorite character? I really love the color and glitter combination, it looks so lovely! What a fun color! I always hear how great Firefly was, was it only 1 season? I definitely recommend watching it! L13L is one of my favorite brands! Normally, my husband is the one that gets me to watch shows, but I'm the one who got him to watch Firefly with me! Firefly is such a great show! What a pretty glitter. I've been meaning to watch Firefly and Supernatural for ages. Oooh I love seafoam green polishes!! I've heard a lot about Firefly but still have to check it out!! Space-y westerns sound like my cup of tea!! I like how opaque it looks yet the glitter still shows through very well.